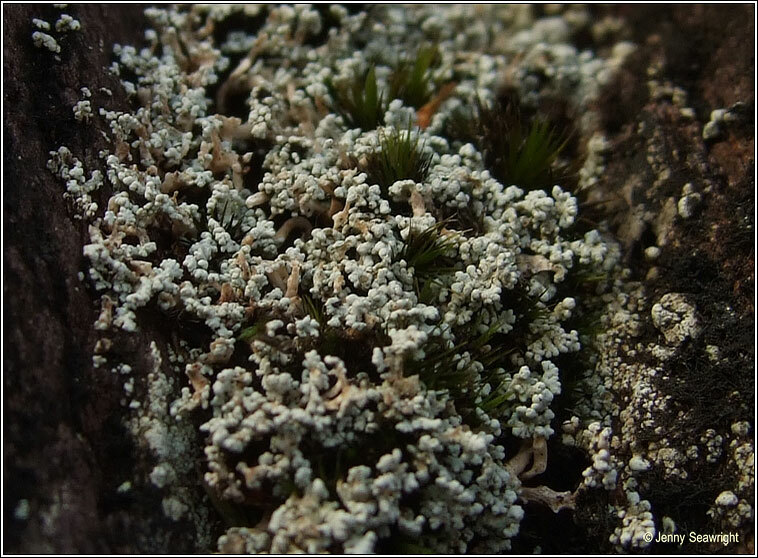 Photos: On upland rock. Glengarriff woods, Co. Cork, SW Ireland. Primary thallus not persisting. 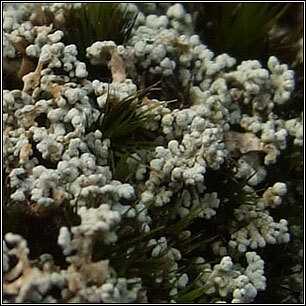 Pale grey-green or yellowish-white erect or spreading podetia, often forming tufts. Irregularly branched with numerous cylindrical phyllocladia becoming coralloid and finger-like when mature. Cephalodia inconspicuous, infrequent or absent. 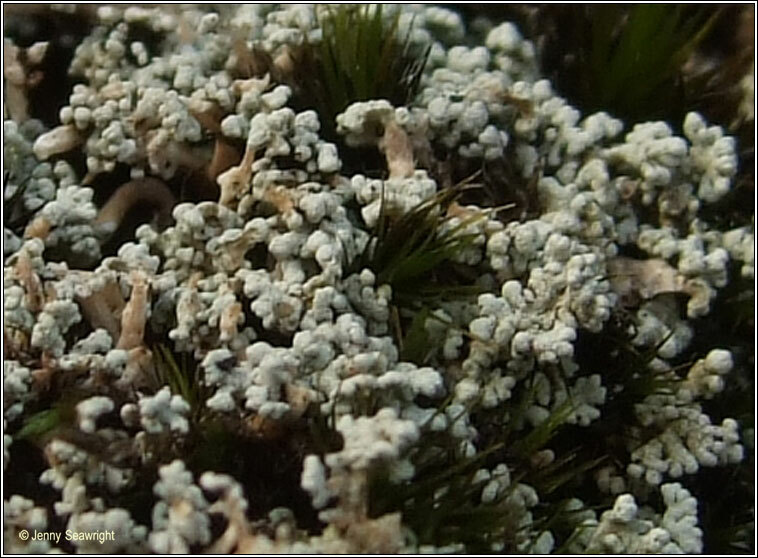 Small terminal apothecia are frequent, brown, +/- convex.